I learned about MarI/O - someone had a computer program learn how to play Super Mario World. 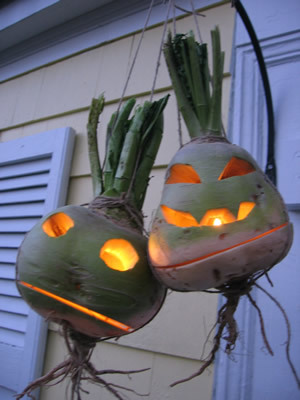 Jack o' lanterns were originally carved from turnips. Babies aren't born with kneecaps. The cartilage that forms there around two years old hardens becoming bone at age 4. WEIRD. Also, Possums don't play dead like most people think. They pass out from fear. Like those fainting goats. Now I feel bad for all the possums my dogs have scared over the years lol. Before the advent of electric lighting, baseball fields were constructed with home plate at the west end of the diamond, as games were typically played in the afternoon and this layout would have batters facing east, away from the setting sun. Hence the term "southpaw": a left-handed pitcher facing west would pitch using his southernmost hand. This was really the other day but I learned about Lord Lucan. He was a famous British nobleman who was known for expensive tastes and gambling, even considered for the role of James Bond when the movie series was first going to be filmed. His marriage failed and he lost custody of his kids. He moved out but spied on his wife and children. Funny enough, today is the anniversary of his disappearance - November 7, 1974 - how about that? I totally did not realize that. He supposedly bludgeoned the nanny to death and attacked his wife. His wife survived and identified him as her attacker. Lucan had telephoned his mother asking her to collect the children, then drove off. The police found the car abandoned on the side of the road and the possible murder weapon was inside, along with traces of blood, but no trace of Lucan. He has been missing ever since. Nicolas Cage is Francis Ford Coppola's nephew. ^ When I was little, I thought they were basketball blocks. I learned driving home that Wawa has free coffee after midnight. Best. Gas station. Ever. Whenever I'm driving out of NY I'll usually find my way to a Wawa while I'm passing through Jersey. It's a brief respite from the terrible drivers and no left turns. A friend of mine actually told me that Wawa gasoline is really bad for your car. I did notice less odd noises after I stopped using Wawa gas. I also can't enjoy mostly any of the sandwiches they make because they make my esophagus inflamed. I almost chocked to death once. The only thing I like about Wawa is the free air for tires. You should always look at the last time pumps were inspected when you're at the pump. It's a small sticker similar to your own inspection sticker. If you see that the inspection sticker is expired for more than a week don't buy gas from them. Some companies like BP have contracts with most states to inspect their pumps to check weights and measures as soon as the inspection is up. If those inspections are expired chances are you're paying for gas you aren't receiving because those weights and measures aren't properly calibrated. The owners who lease out stations don't care if they rip you off because the fine they'd get pails in comparison to the money they make ripping people off. I was a lube tech for a Valero when I was 18 and they didn't give a f*** who they ripped off. The whole notion that Wawa gas is worse than anything else though is baseless. All petroleum on the market comes from the same refineries and pipelines as the rest of them. Gasoline is gasoline. Anytime you hear of someone selling bad gas is extremely rare. If your car was making weird noises though it more than likely had to do with your car being low on oil or quality of the oil in your engine. Switching to premium fuel will make your car run much better. It'll reduce the number of carbon deposits in your engine and keep the inside of your engine clean. Low octane gas = low performing engine. My east coast/particularly Philly friends SWEAR by Wawa. Saying a bad thing about Wawa is like cursing their god. We only have 7/11 on Long Island. I've complained about the pricing at a couple of the big chains, and they basically said they'll look into it but it's not their problem. The only half way honest gas station near me is Cumberland Farms. When they shut down for remodeling, nobody else's prices budged all summer. Then they reopened and gas prices started falling every week, following their lead. I learned that you can - perfectly legally - buy citizenship in some countries (here, Montenegro) : https://tranio.com/articles/montenegro- ... programme/, all it takes is buying an expensive house and boom, here's your passport. Is there even a thing money can't buy these days? Over the course of the last year, I got quite a great job and started making decent money after year of struggling financially, and was shocked at the amount of things that became much, MUCH easier when you have money.... and hell, many things become actually cheaper if you're well off, and you end up spending less dough then when you're poor. Oh, and I've learned that the French president is not just the president of France, but the co-prince of Andorra (a small microstate between France and Spain) at the same time. Citizenship is actually a pretty significant part of the budget of a lot of Caribbean island nations. Plenty of large countries have provisions to give residence status to foreign citizens who make large enough long-term investments, too.